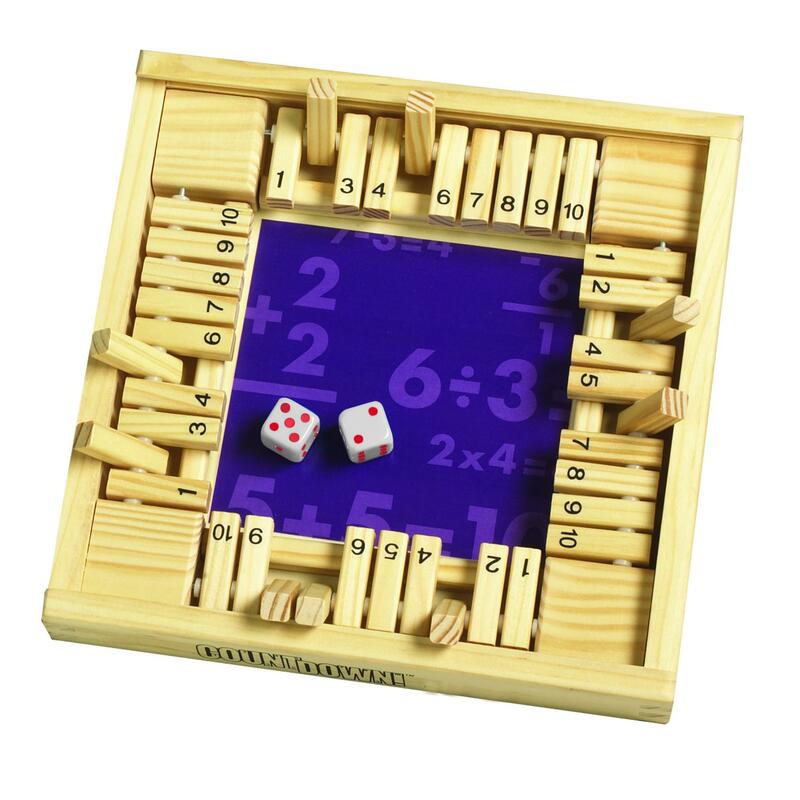 Players compete to achieve all numbers from 1 through 10 using 2 dice and simple math. Score is marked with wooden pegs that are flipped when a number is achieved. Basically a four player version of Shut the Box. But it includes some variation. Players may not use the two dice as separate numbers to flip two pegs. Instead they use the two numbers with a basic math operand to create a single number to choose a peg. There are only 10 pegs so 6 x 2 = 12 is out.